Lustre Kings productions is a reggae record label based in Oakland, California, Brooklyn, NY, and Kingston, Jamaica. Lustre Kings has been releasing music in Jamaica, United States and Europe steadily since 1998. Started by Corrin Haskell and Andrew Bain, LK is dedicated to producing quality cultural music with a message. Having worked with every big name in the Rastafarian music scene today; Capleton, Sizzla, Luciano, Midnite, Anthony B.,Lutan Fyah , Yami Bolo, Jah Mason, Turbulence, Norrisman, Pressure, Determine, Natural Black, Natty King, and more have recorded on riddims like “African Charm” (’02), “Credential” (’02), “Fortune Teller” (’03), “Black Mystic” (’02), “Alarm Clock” (’04), “No Politics” (’04), “Talking Drum” (’05),”New Day” (’06), “Red Razor” (’07) and “The Shining” (’08), now all availble in digital format. Over the past ten years LK has sold tens of thousands singles worldwide in the 7” vinyl format, through distributors like Jet Star (UK / USA), One Love Jamaica (JA/ Italy), VP Records (USA), Ernie B (USA), Penthouse (JA), Music Ambassador (USA), Dub Vendor (UK), and Soundquake (Germany), Cap Calcini (JA/EU). In addition to the 7” singles, we have a growing catalogue of cd releases. A full-length compilation album, “Culture Dem”, solo artist album, Turbulence “The Future”, which was signed to a licensing deal with Jet Star Phonographics, the flagship reggae label in the UK. The groundbreaking various artists’ compilation “Calling All Jah Children” that used a selection of our catalogue put into a legal mixtape format. The solo artist album Lutan Fyah, “Time and Place” and the second compilation Culture Dem 2, another various artist release that features the best reggae and dancehall has to offer. In 2006, “Royal Muzik: Best of LK” was liscensed to Diamond Edge Records for exclusive release in Japan and the Far East. 2007 was marked by the epic release of “Infinite Quality”, a LK/Midnite collaboration featuring Vaughn Benjamin’s lyrical powerful alongside Digital Ancient’s masterful production. 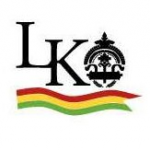 LK finished 2008 with a fury releasing several titles including: Al Pancho’s “Joy Bells Ringing”; Noble Society’s “Take Charge” which was voted Best Reggae Album of 2008″ by Itunes; “Infinite Dub”, the dub/instrumental accompaniment to the “Infinite Quality” release; and the classic release “Know the Road” from Norris Man. In 2009, Culture Dem 3 sealed the trinity of a landmark compilation series. All of our projects have received extensive press world-wide, appearing in several publications like “The Beat” (USA), Riddim Magazine (Germany), XNews (Jamaica), Murder Dog (USA), Rove Magazine (japan), Riddim (Japan), Rasta Snob (Italy), Melody Maker (UK), Natty Dread (France), Ireggae.com (internet), Jahworks.org (internet), and Amazon.com (internet), Bassment (Italy), United Reggae (France), Reggae-Vibes (Netherlands), CORE (USVI), and The Fader (USA). With a host of up and coming releases slated for the next year, the Lustre Kings extensive catalogue is ready to be awaiting discovery by the world. Nearly all of the artists that Lustre Kings began working with from its inception have gone on to claim number one song titles in the Jamaican market, bridging those artists towards international success.